Last month the government’s Health Protection Agency warned that fashionable fish pedicures, where tiny Garra Rufa fish nibble away hard skin, could spread potentially deadly diseases. If a customer already infected with a blood-borne virus such as HIV or hepatitis bleeds into the water in the tank, then there is a very small chance the virus could be passed to another client, either via the fish or contaminated tank water. To reduce risks, no one with open cuts should be treated and those with psoriasis or diabetes should avoid fish pedicures altogether. Even in the most expensive salons, it’s quite common for a hairdresser to use the same combs and brushes all day without cleaning or sterilising them between clients. A good hairdresser should be perfectly happy for a customer to provide their own brush or comb. Hot wax has the potential to be seriously dangerous if it’s not handled properly. Bartletts Solicitors, based in Liverpool, specialise in bringing cases against beauticians and hairdressers. On their website they tell the story of a client who was burned after hot wax was spilled on her during a routine leg wax. The burn required medical attention and, even after healing, left the woman with an area of uneven pigmentation, which could require skin grafting. She successfully sued the salon for the injury and received £4,500. It’s not just burns that you have to worry about. Bikini waxes can go horribly wrong, with common problems including ingrowing hairs and folliculitis (infection of the hair follicle). If not done properly, waxing can remove the uppermost layers of the skin, leaving it susceptible to infections such as MRSA. This is particularly problematic when salons ‘double dip’, repeatedly using the same spatula in the same pot of wax, potentially transferring infections from the skin of one client to another. Ever ended up with a cricked neck after a trip to the hairdresser? Count yourself lucky. 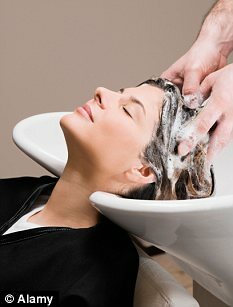 Research suggests the uncomfortable position in which you have to hold your neck while being shampooed over a basin could, in some cases, result in a stroke. Known as Beauty Salon Stroke Syndrome, the condition occurs when an artery in the neck is constricted, cutting blood supply to the brain. The result can be dizziness, facial numbness, and even a blood clot in the brain. It’s very rare, but those who have arthritis in their neck or hardening of the arteries may be particularly susceptible. Pamela Crabb, 51, from Poole, Dorset, suffered a stroke after a hair appointment in September 2000. She made a partial recovery but died after another stroke in 2004. If you’re worried you may be at risk, avoid over-extending your neck by using towels as padding, or ask to have your hair washed leaning forward over the sink instead. Clipping away ragged cuticles might make your fingers look better, but the cuticle acts as a protective seal around the nail and, if damaged, bacteria can get in and cause infections, resulting in inflamed and swollen skin. This problem is exacerbated if a nail salon fails to sterilise tools between customers, because not only is the cuticle damaged, but bacteria are introduced at the same time. Pop singer Paula Abdul complained that a nail infection from a salon caused her pain for an entire year. Ask your manicurist not to clip your cuticles — and ensure she’s using sterilised instruments. A warm, wet environment is the perfect breeding ground for bugs — and even if those whirlpool baths often used in pedicures get rinsed with bleach between clients, how often are the pipes and filters cleaned? In the case of one California salon, not often enough. In 2000, more than 110 clients contracted a skin infection that started out as little red spots and turned into boils. If you want to use foot spas, cosmetic dermatologist Dr Sam Bunting recommends not waxing or shaving for 24 hours before to avoid cuts, which put skin more at risk of infection. Whether it’s a pair of scissors that accidentally nick your ear during a haircut, or clippers that draw blood in a manicure, if instruments aren’t sterilised properly, there’s a risk they could spread blood-borne infections. One of the key ingredients in the straightening treatment dubbed the Brazilian, or permanent, blowdry was formaldehyde. Despite restrictions on the amount of the chemical that can be used, and new formaldehyde-free formulations, unscrupulous firms are still selling products that can cause breathing difficulties and other unpleasant side-effects. Karen Dandy owns a hair salon in West Sussex. Twice last year, she allowed a rep to demonstrate a treatment. Both times, as the hair was heated with straighteners, everyone began to suffer headaches, nausea and stinging eyes and throats. ‘It obviously wasn’t safe,’ she says. Some salon owners are now suing the companies responsible claiming their health has been put at risk. 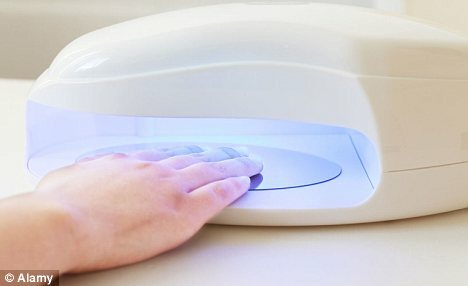 We all know baking our bodies on sunbeds increases skin cancer risks, but few would think the miniature UV lamps used to harden fake nails could carry the same risk. Although the UV dose is tiny, dermatologist Dr Nick Lowe suggests letting your nails dry naturally. ‘UV is responsible for most skin cancers, but also ages the skin,’ he says.